Ryanair has given Dublin-based pilots until 17 January to accept an offer of significant pay rises that had previously been rejected, partly because they were conditional on no union representation. In a memo to "all Ryanair employed pilots in Dublin" dated 8 January, Chief Commercial Officer Peter Bellew stated that as the airline has now agreed to recognise unions in Ireland, it has removed all sanctions from the Irish-based agreements relating to union recognition or industrial action. He noted that since November, new recruits have been receiving the increases of up to 20%, while the pay hikes have also been applied to contractor pilots since January. However, they did not apply to directly employed Dublin-based pilots who had rejected the proposals in a ballot because the airline refused to allow them to be represented by either unions or a new internal cross-Europe group called the European Employee Representative Council. Pilots in Cork and Shannon had already accepted the increases in November, but Mr Bellew said that Ryanair, FORSA/IMPACT union officials and the Ireland Ryanair Pilots Company Council all agreed that negotiations on a union recognition agreement should not delay the roll out of the pay increase for Dublin pilots who have not yet agreed to it. He stated: "If the Dublin pilots vote on the attached revised Dublin base agreement, with the up to 20% pay increases by the 17th January, then these increased payments will be made in the January payroll." Ryanair said it did not comment on any communications with its people. 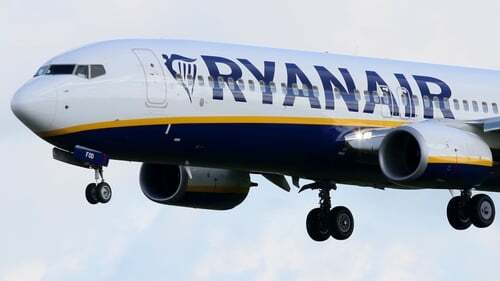 The Fórsa trade union (formerly IMPACT), to which the pilots' union Irish Air Lines Pilots' Association is affiliated, said it would be writing to Ryanair saying it will ballot members on the pay package. However, a spokesperson described the Ryanair offer as an "interim measure" pending engagement on pay following completion of a union recognition agreement. He said Fórsa did not see 17 January as a "Cinderella moment", as there was no reason that any package could not be backdated if accepted. He said that if Fórsa is recognised for collective bargaining, which it is, pay must be negotiated with the union. He confirmed that pilots would be holding meetings over the coming days to discuss these matters.